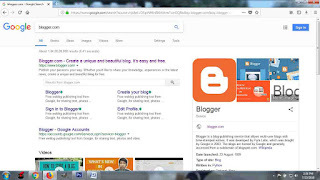 After completion of your gmail (e-mail) account on Google, you need to create a Google plus (G+ profile) and that will merge with your gmail id.Creating a Google Plus Profile (G+) will give you many advantages across the web and we will discuss the details about it in the upcoming posts. 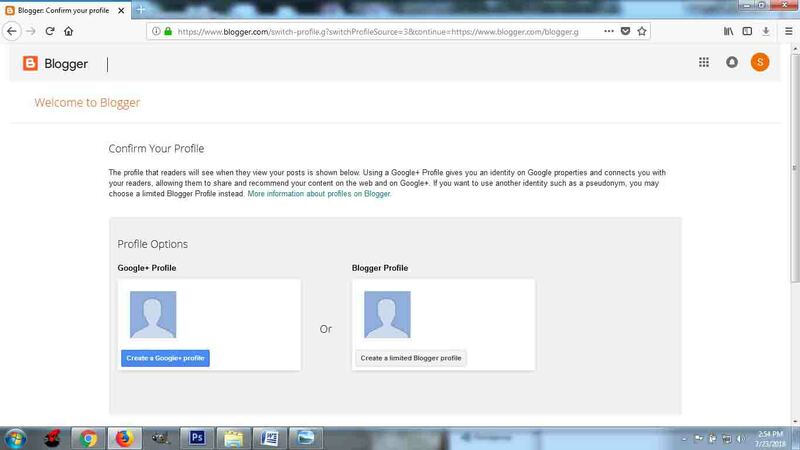 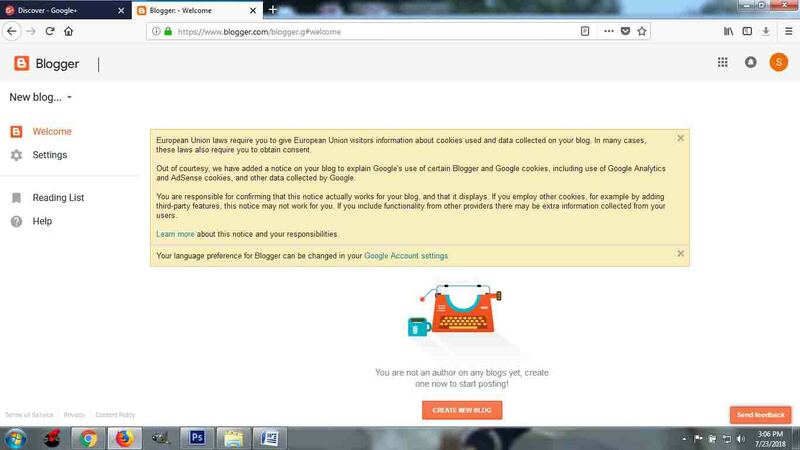 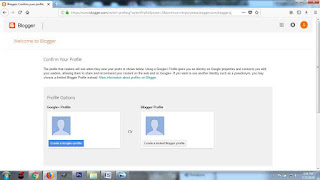 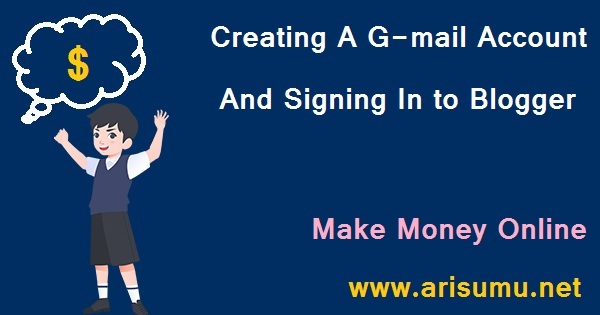 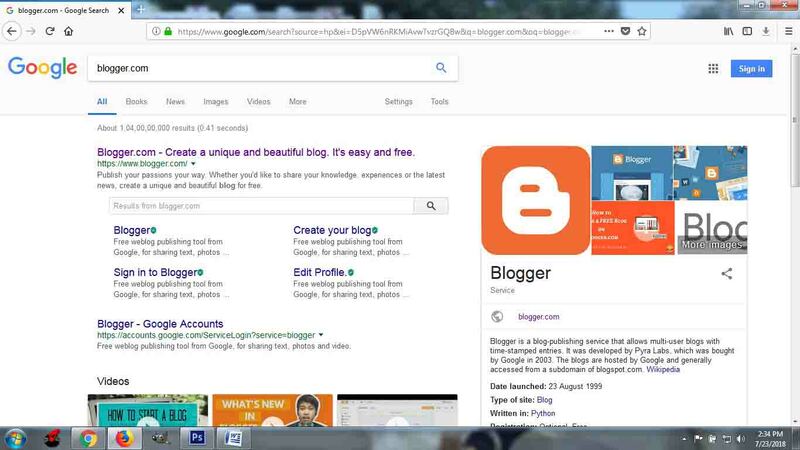 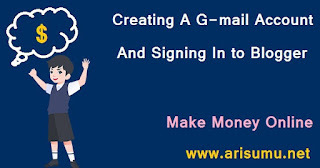 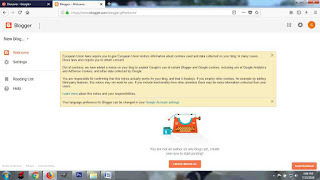 Let's proceed to-How to create a blog for free of cost with Google. Now we are ready to create a new blogspot website for free.Just click create a new blog and a pop-up window will open where you have to type your blog title and address. 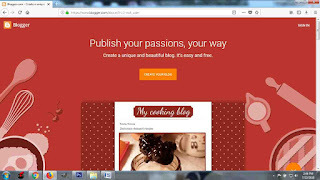 You can choose anything for your blog title you want for example "My New Blog", "My Cooking Recipes" or whatever you want but the address will check availability automatically because if there is another blog has been already created by someone on the web with the same address you will not get the desired address and must remember to not leave any space when you are typing the blog address.Feel free a to ask any question if you are having any confusion or difficulty in understanding this tutorial.